This will be the continuation of the previous Eunos Motors fantasy build of the Manticore Special Edition without all the craziness, well maybe just a little. Right now, I am of the greying age where I want to revive some fond automotive memories of my youth. One of those memories was owning this car at the invincible age of 19 years old. Even better, it had a 1964 Corvette 375hp 327 V8, 4 speed, 12 bolt rear end, along with a Corvette big block hood grafted in! Can you believe it, I removed the large distinctive Mercedes 3-point emblem from the grill. I did that so it would look more like a Cobra. It even had the single Cobra style roll-bar behind the driver. 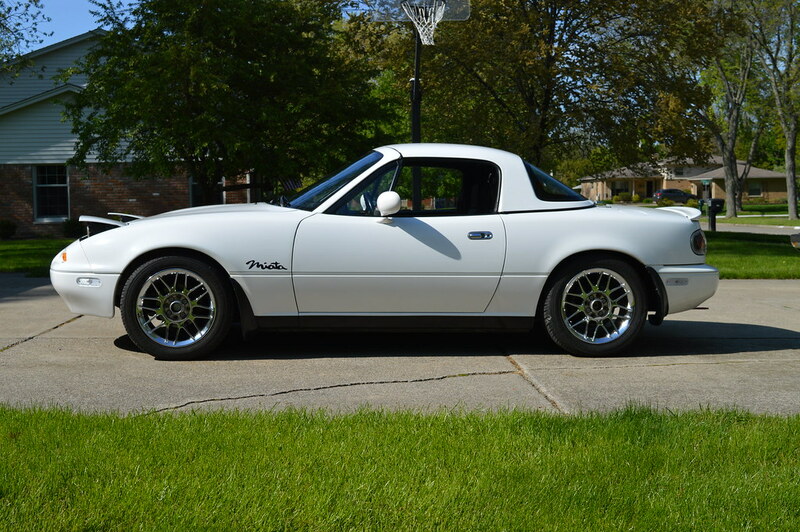 It looked great with the hardtop off and was a blast to drive with the exhaust echoing out both sides via the Thrush side pipes. The 1200 rpm idle with the Isky cam was menacing at each stoplight. Unfortunately, I had to sell it a few years later to pay some medical bills. I wanted to re-create my modified Mercedes 190SL but this time with a GM LSx engine while making improvements in the handling and braking department. Hmmmm, searches Craigslist, Hemmings, Ebay… Dohh, look at those prices! Interesting that all the good ones have the same price; “INQUIRE”. A very wise person once wrote “No Roadster, No Life”. I need a roadster replacement for that 190SL so I can have an automotive life again. What 2 seater convertible can I buy that has good parts availability, good aftermarket support, has rear wheel drive, a chassis known for handling, and can be had at a reasonable cost? 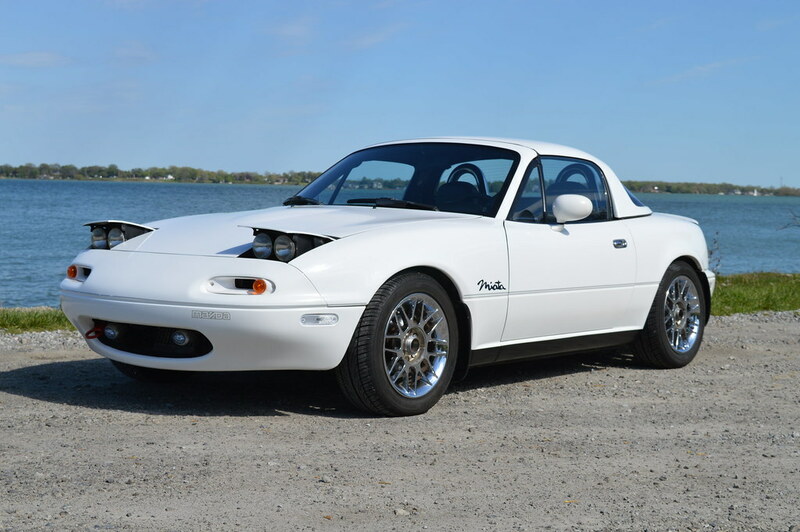 The MiataQuest began to find a rust-free NA with a good body and interior. I decided on a 1992 white LS out of Texas. It had a BEGI turbo, nice leather interior, and air conditioning. The air conditioning was a big plus to make the wife happy. At 117,000 miles it was priced a little higher than I wanted to pay. However with a rust free car as a base, everything can be rebuilt and modified over time. I wanted to create my own version of a special edition model that could be passed off as a factory offering. At the same time attempting to improve the car in as many performance categories as possible. With that in mind, my special edition needed a name for brand recognition and to add some styling cues. 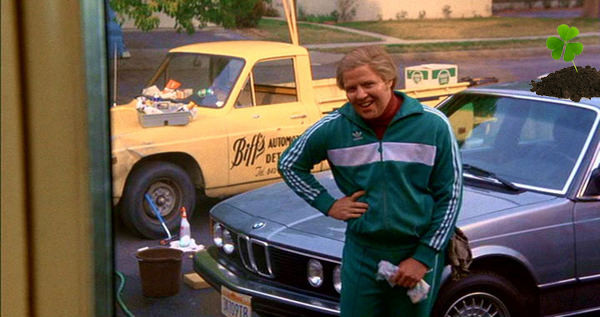 Back when I was driving the Mercedes 190SL I would have been a huge Emerson, Lake, and Palmer fan. 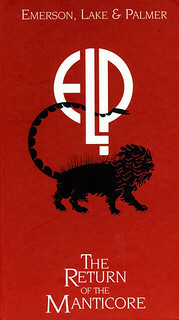 Recently Keith Emerson and Greg Lake had left this earth for concerts afar. I thought the car could be a tribute to them by using their own “Manticore” recording label. I think the Manticore logo is fitting for a performance roadster. I will definitely be talking with Revlimiter and Spinnywhoosh in the future. Last edited by MiataQuest; 08-18-2017 at 10:46 AM. 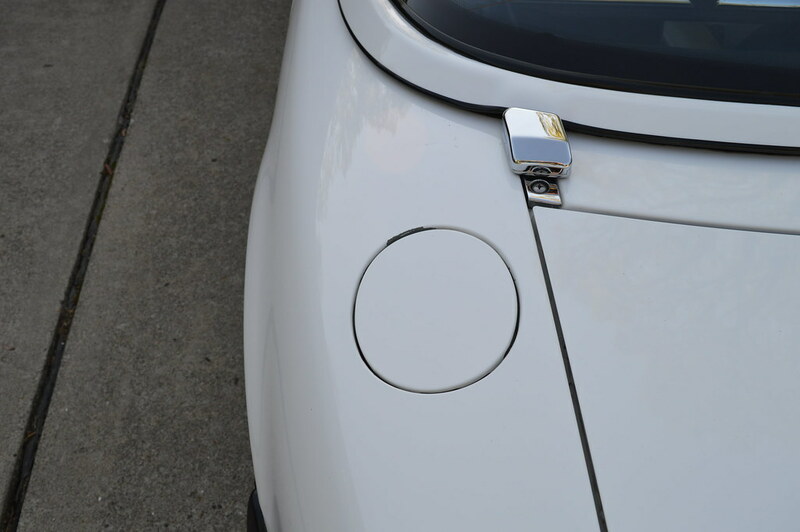 I had done some simple modifications like tow hooks and “clearsies”! Next I performed some simple maintenance so I could drive the car locally and decide what I should fix and modify. More on the driving impressions later. I figured I should detail the exterior finish of the car to see how well the paint shows while preventing greasy finger marks. I broke out the Meguiars Ultimate Compound with their DA applicator and got to work. Working up close around the car I could see all kinds of defects in the paint and the body. Oh well, being a “10 footer” will allow me to enjoy the car more while empowering me to try some body modifications myself. Additional rock chips will build character. Even with the defects, I was happy how much the car’s visual appearance improved with the compounding, polishing, and wax. It went from chalky white to bright glossy white. 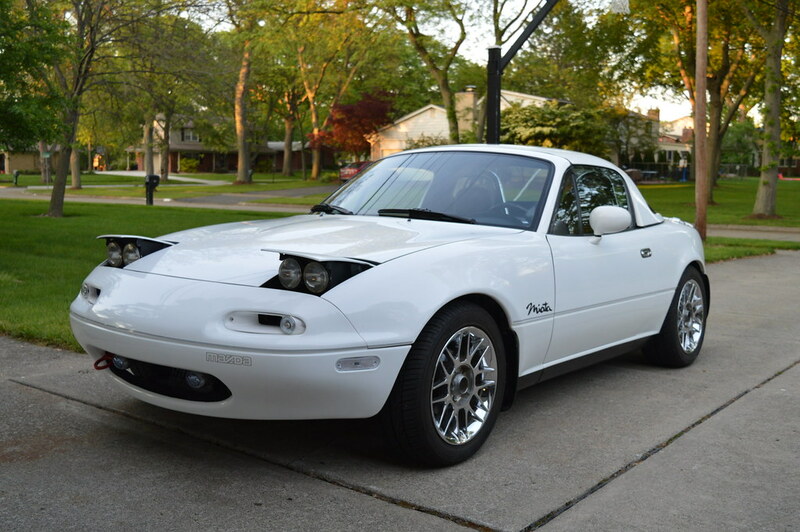 I sure hate that “Miata” cursive sticker! That will need to go. 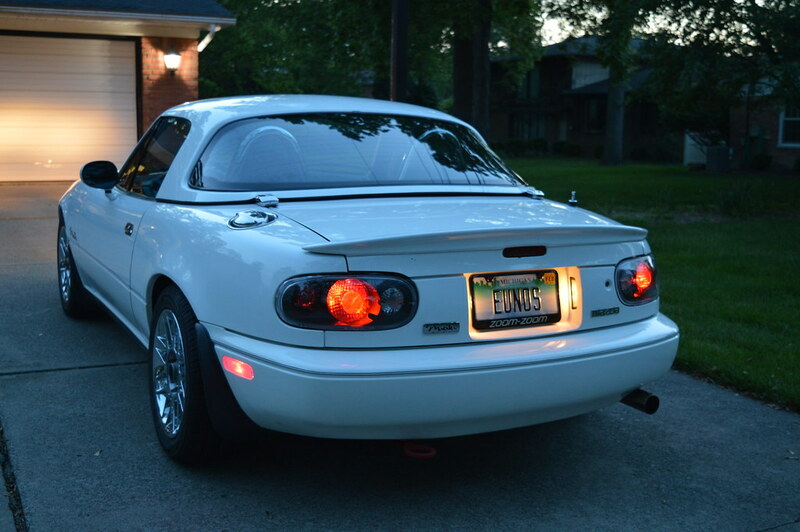 Actually I plan to lose everything Miata related and replace with Eunos. Dooh.. Look at the paint around the fuel filler. I hope that was caused by a careless previous owner and not the dreaded “Crystal White” curse. What to do? Got it! Zoom Baby Zoom. Was that a lucky cheat fix or what? 10 feet and looking good. Last edited by MiataQuest; 08-17-2017 at 08:33 PM. Glad to see you started a new build thread, Rene! I think my original post from your previous build thread still applies. "Given your "rich automotive history" and that you're clearly a character, I'm confident this is going to be a fantastic build thread! Can't wait to see more and remember Adam aka Revlimiter is the go to guy for all those custom touches, which I have no doubt you will address along the way." Last edited by Greasemonkey2000; 08-18-2017 at 11:36 AM. what happened to the other build thread? Am i missing something? I will keep working on this build thread to get it up-to-date while using this different build format. 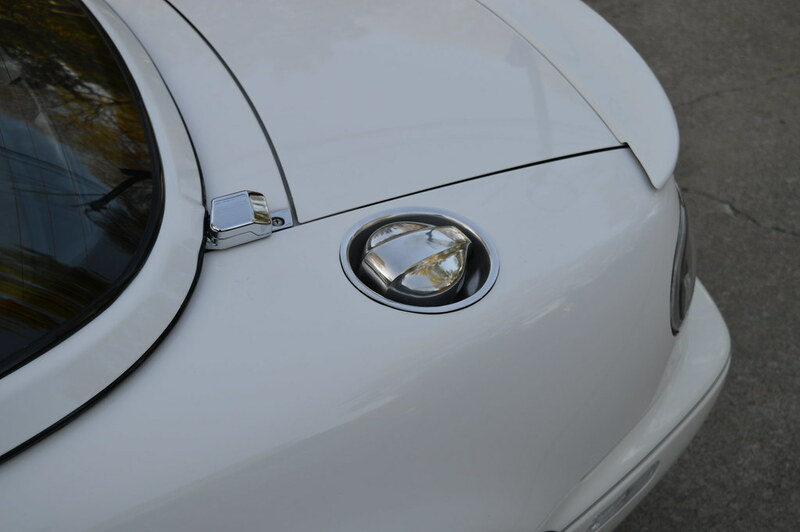 Later I will ask MiataRoadster for edit permission to fix the old build thread so it isn't a Fotopucket mess. I was able to get my old pictures files again. 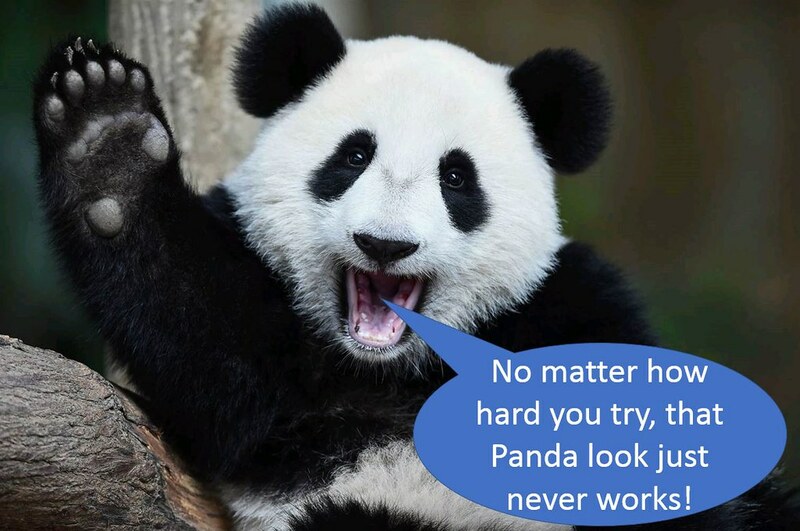 TO PANDA or NOT TO PANDA , that is the question. I thought some black contrasts on a white car might look good. Yeah, why not give it a try. 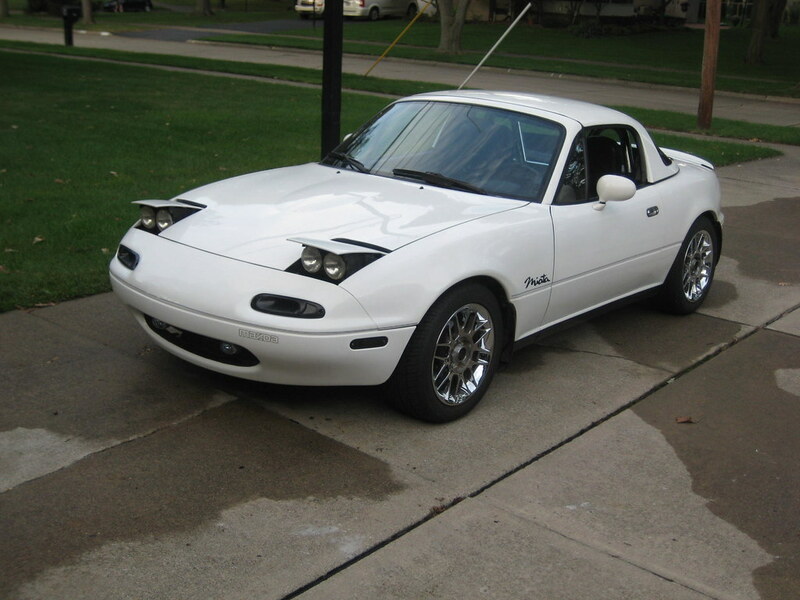 I cruised all the Miata aftermarket suppliers and settled on some parts from Moss Miata. I purchased their turn signal intakes, smoked side markers, and rear tail lights with black highlights. These bolt on items were easy to install. Should I paint the TSI’s white? Naw, after installing them I was not fond of the style anyway and they sure were heavy. 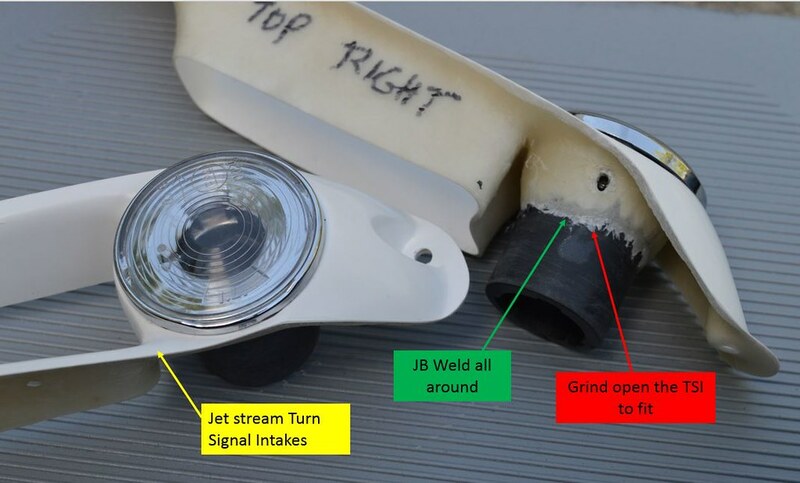 I went back to investigating various aftermarket turn signal intakes and side markers. I finally decided to buy some Jet Stream TSI’s from Rev 9. 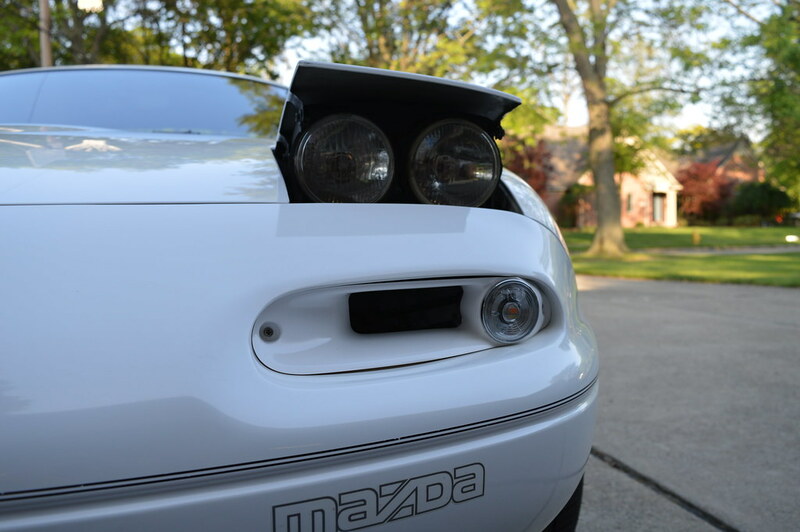 I also bought some clear side markers and a clear 3rd brake light from Moss Miata. Big improvements, but the look is still not there. The Jet Stream TSI’s do not accept the US Miata bulb holders and only support two wires. Also, the amber lights just don’t mesh with all the “clearsies”. Last edited by MiataQuest; 08-25-2017 at 11:24 AM. I continued to scour the internet in the quest for some TSI clearsies. Finally, I found something that might work! 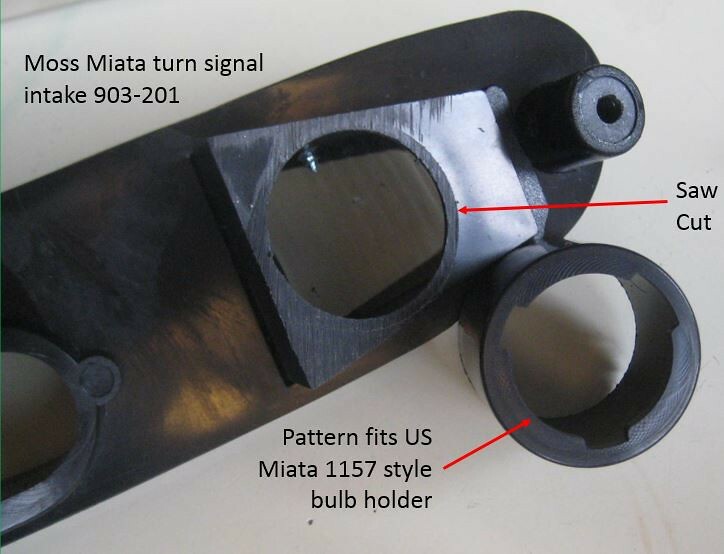 I contacted Bill over at MiataRoadster to order some I.L. 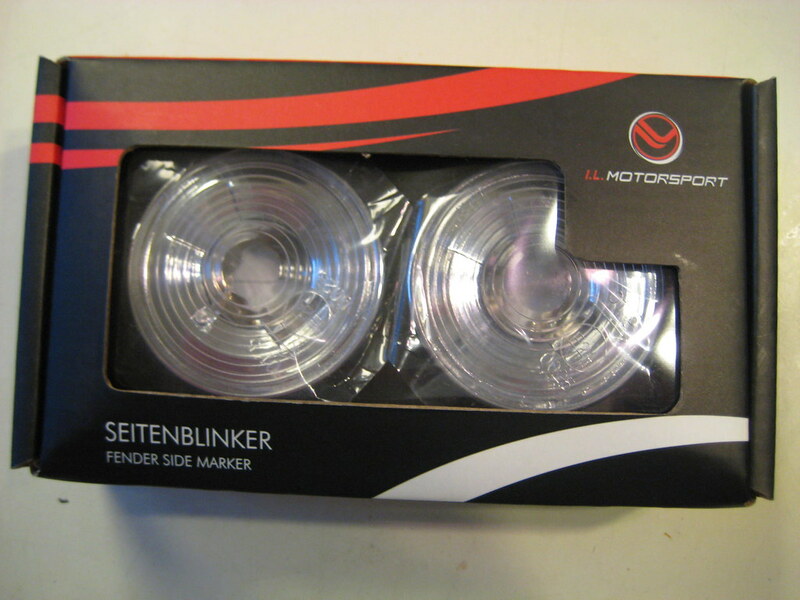 Motorsport NAB-1552 winkers. I went to work trying to figure out if I could make an 1157 bulb fit inside the winker. I did make it work, but I was worried the standard 1157 bulb would make the interior of the winker run so hot it would start melting the lens. Ah ha, I have seen Diode Dynamics advertising LED bulbs. That should cool things down a bit. 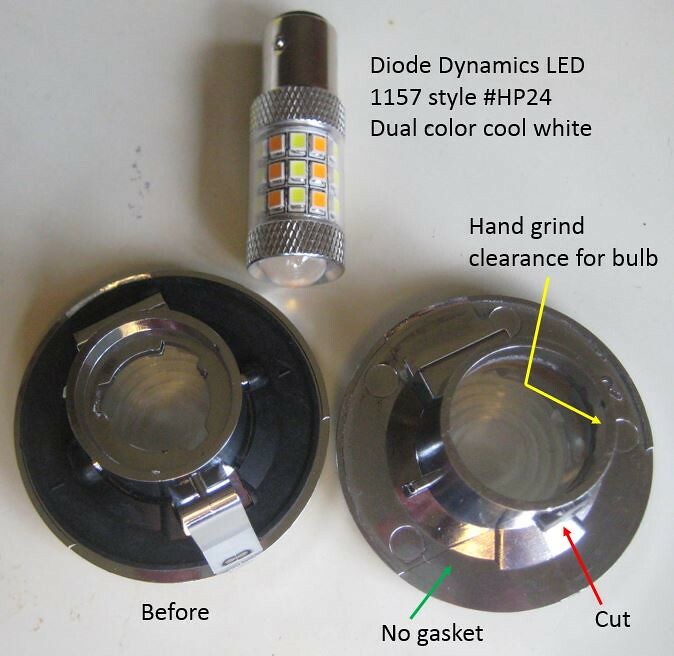 I searched their site and found an 1157 style high intensity bulb that would emit white light in the parking light mode and amber light when in blinker mode. I like that, different is good! Perhaps using the brighter parking lights in the daytime (with the rear tail lights running also) will aid in making the car more visible to the texting fools. Next, how to hold the 1157 style factory bulb holders? I can use part of the old Moss Miata TSI’s. Now I just need to marry the winker to the 1157 factory bulb holder. 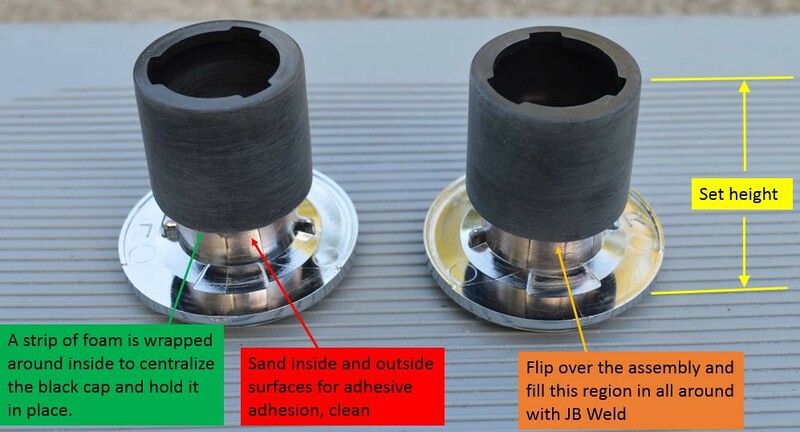 I hope I can integrate these properly into the Jet Stream Turn Signal Intakes without messing them up. Freehand Dremel here we go. Now to see how they look on the car. Then check how effective the lighting will be in the daytime and at night. Last edited by MiataQuest; 08-18-2017 at 04:40 PM. love the work and creativity. white NAs for the win!!! Ok Rene! You know I am all ! Quit teasing and let's see the Eco smoke test the tire grip! Here is a close-up of a finished TSI clearsie light. 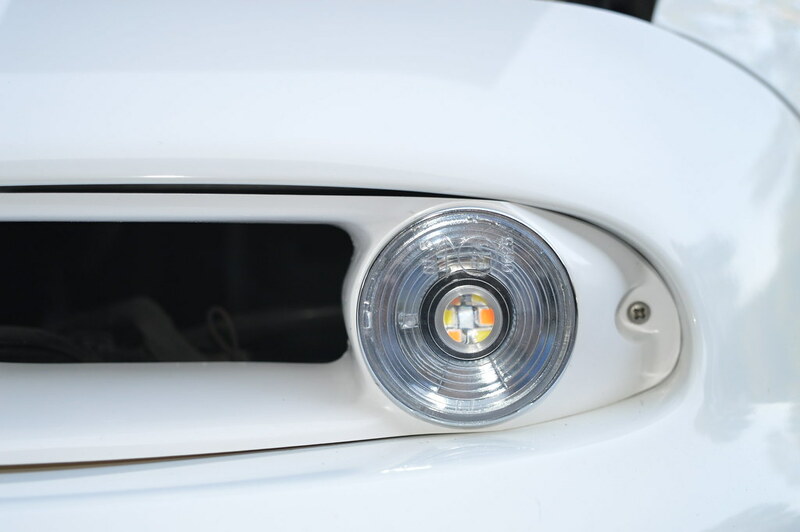 I like that you can see the colored components of the Diode Dynamics LED bulb through the clear lens. I got lucky, the bulb is fairly well centered. Still a hint of the colored components of the LED as you back away. More when it is in the sunlight. Here is the daytime look with the lights off. I am now happy with the results. 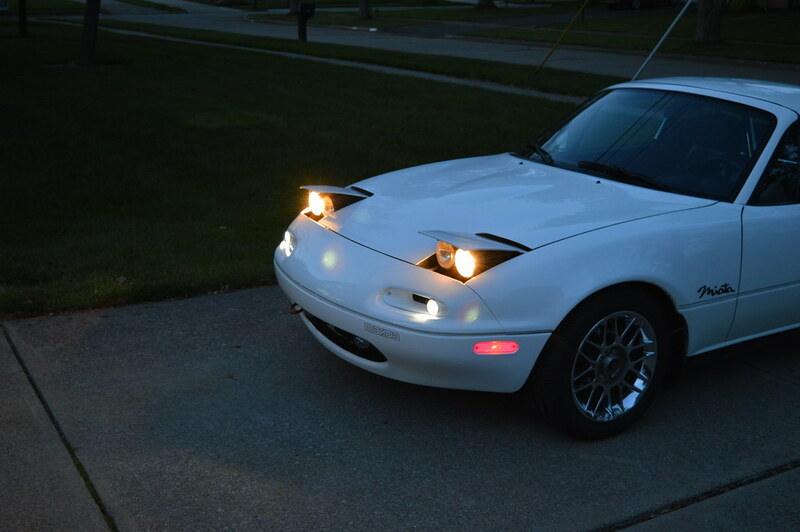 It should be even better after the Bling driving lights are installed and my custom bumper air intake is completed. And an early evening shot with all the lights on. The parking lights work great! It is really trick when you turn on the blinker with the parking lights on. It changes from white to amber and back to accomplish the blinking. I may even leave the front side marker lights red. Ticket bait??? The side markers are clear when the lights are off. Last edited by MiataQuest; 08-18-2017 at 08:49 PM. •	Additional power and driveability. •	Reliability and long life. •	Linear power for improved driver control at the limit. •	Attend a track day and pass a FRS/BRZ. •	Drive the Tail of the Dragon. •	Fall tour with the wife. •	Maintain weight balance for handling. 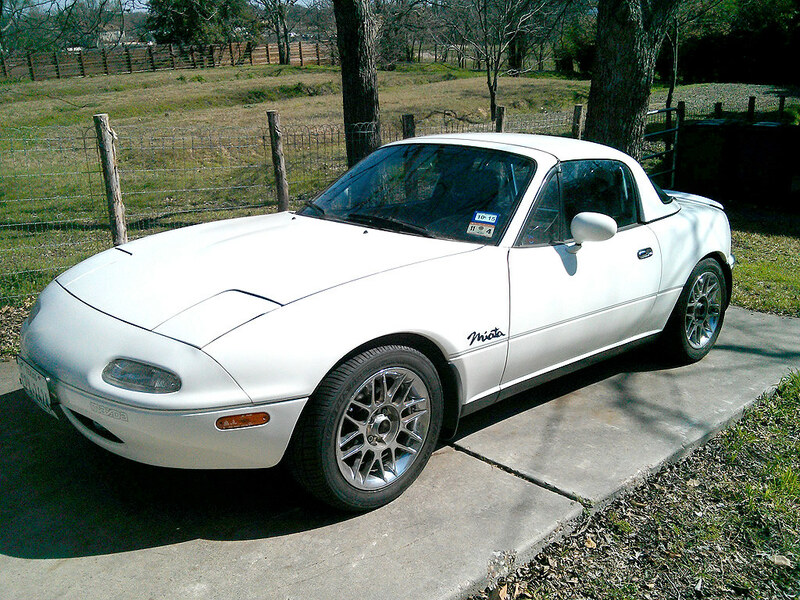 WHY DID I CONSIDER AN ENGINE SWAP OVER MAZDA ENGINE MODIFICATIONS? 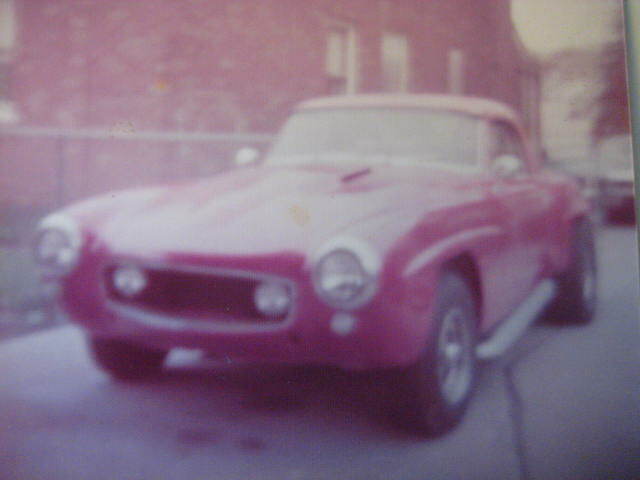 •	The 1.6 turbo engine lacked power & torque until 5000 rpm’s. The 1.6 being a small displacement engine will always be down on torque at lower rpm’s. The early 1.8 is not much of an increase. •	A Mazda 1.8 with VVT is an option coupled to a turbo. This was weighed against going with a different engine manufacturer. Wiring a VVT with an aftermarket ECU in an early Miata seemed tricky but has been done. It would be one busy engine bay. •	Any Mazda engine would need major modifications to handle more power. High power with mods usually means less reliability and high cost. •	I have read too many disappointing stories versus success stories. I want to be wrenching to make continuous improvements, not re-fixing what was done before. 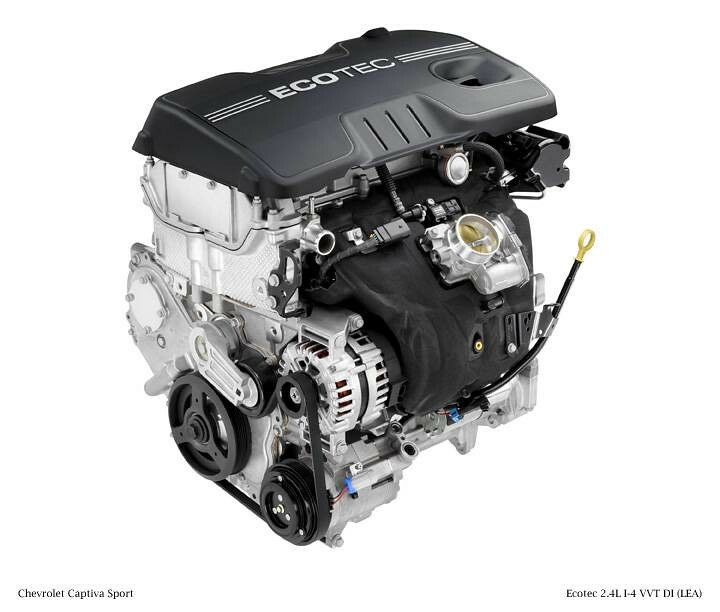 WHY DID I SELECT THE GM ECOTEC 2.4L ENGINE? •	I can get a NEW GM factory engine at a low cost. Not used, not rebuilt, NEW! •	More displacement translates to more torque. I do not need a turbo to meet my goals. •	The GM Ecotec will run close to limit of what the Miata drivetrain can withstand. If I picked a higher power path, I would be looking at breaking things. •	Reliability in all situations. Highway, around town, and at the track. •	Lots of aftermarket support and modifications for Ecotec. A Chevrolet turbo Cobalt set the fastest Nürburgring lap time for a stock FWD production car. Not too shabby, so future tweaks are available if you got the itch. I think I’m good with non-turbo and a tune! •	Uncluttered engine bay. No turbo or supercharger plumbing. No coolant re-route. •	Technology…You get newer GM technology that creates a flat torque curve while still being able to rev to 7000 rpm’s.. This gives you better control when pushing the car at the limit. •	No timing belt to change. •	No additional weight. Handling and PPF are un-affected. •	No cooling issues, no re-route kit required. 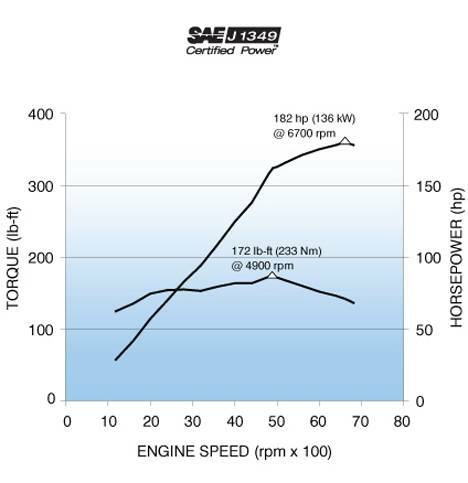 Here is a horsepower & torque chart for a direct injected Ecotec 2.4 engine. If I can achieve similar figures with a header, performance exhaust, and a tune… I will be very happy! Here is a representative picture of the engine. Yes the cover will need to go. WHY NOT K-MIATA, FORD V8, LFX, OR LS ?? •	K-MIATA was an option, but used engines are a crap shoot. The kit is expensive. I do not see support for air conditioning. It has less torque at the lower end than a GM Ecotec engine. •	FORD V8 – I bought the conversion book to understand all the details. In the end, I did not like the excess front end weight, old engine technology, and the exhaust system routing off the engine is a nightmare. Ground clearance of the exhaust is also a problem. •	GM LFX – This is my all time favorite engine conversion. Just perfect. The only problem is the budget quickly escalates to USD $25K~30K for a turn-key build with a used motor. •	GM LS – Yes excellent, but the cost even exceeds the LFX. At this point I would be looking at a substantial down payment on a new Corvette. 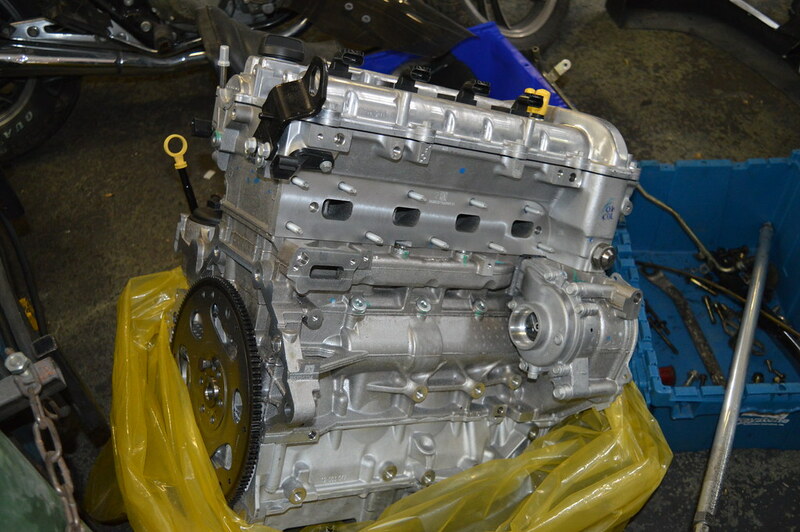 •	NEW GM 2.4L Ecotec engine straight from GM in the crate. •	Change to a Torsen 3.9 rear end. This will facilitate highway driving goals and utilize the torque of the Ecotec engine. Will also be installing a new driveshaft & axles. (needed for the Torsen swap when installing in an early NA Miata) If I am not satisfied with the 3.9 ratio I can change to other Torsen gear ratios down the road. •	New clutch & brake master cylinders since the pedal assembly must be removed anyway to install a GM gas pedal assembly. •	New clutch slave cylinder and stainless steel line. A good time to do it. •	New throw-out bearing, pilot bearing, and clutch assembly. •	Eliminate cruise control to un-clutter engine bay. •	Wiring harness by Ecotecmiata. •	New radiator and hoses. Last edited by MiataQuest; 08-25-2017 at 10:50 AM. The Miata, I mean the Eunos is all ready for the scheduled journey the next morning. I woke up early in the morning and it seemed to be the start of a perfect day. The Michigan sky was clear blue with a temperature of 60F/15C degrees going to 78F/26C degrees in the afternoon. No rain was in the forecast. I could smell Lake Erie in the air and hear the morning boaters heading out. I was so excited to take my first real drive in the Manticore. I head to the car with my travel bag packed with tools and supplies. I am ready to hit the road. The first milestone is taking the car to speed on I-75 and head into Detroit city. I need to fear gravel trucks and hope I don’t have the dreaded freeway shaking I read about. Everything is good, zoom zoom! Next destination is the Detroit-Windsor tunnel. As I enter the streets of downtown Detroit I open the windows to hear the Grand Prix racers howling on Belle Isle. Such glorious sounds for a perfect day. 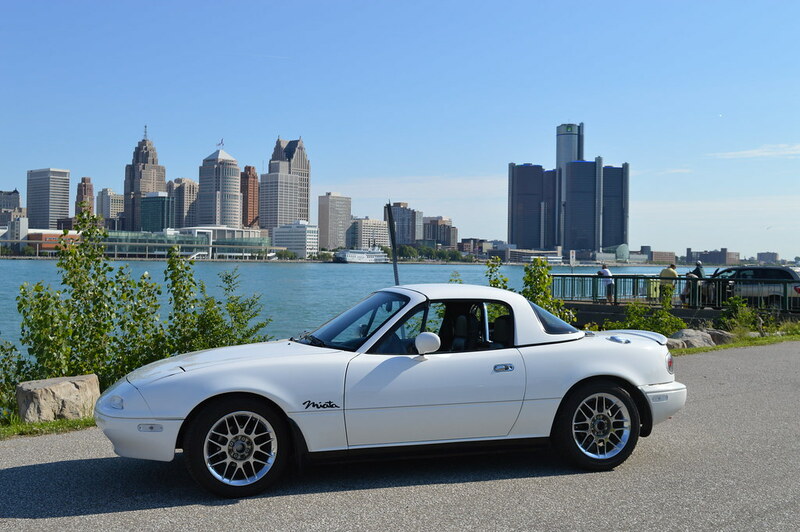 I then enter the tunnel that goes under the Detroit river and to hear another glorious sound of the 1.6 liter Miata engine echoing off the walls. Life is good! I am now in Windsor, Ontario, Canada viewing the Detroit skyline while still hearing the Grand Prix racers as background music. After the waterfront stop in Windsor, it’s off to the 401 Queen’s Highway for a 3-1/2 hour drive to Richmond Hill, Ontario Canada. 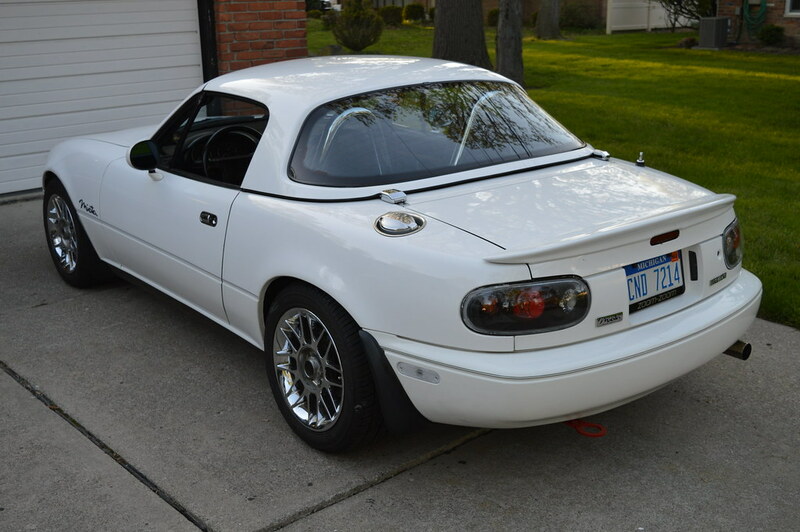 (near Toronto) YES, the car is on it’s way to MT Motorsport Ecotec Miata for the turn-key build. Last edited by MiataQuest; 08-25-2017 at 10:37 AM. Matt (right) & Ryan at MT Motorsport (EcotecMiata) seem to be passionate about their craft. They are very easy to work with. Matt is really busy supporting all sides of the business. Product development, internet sales, and in-house modifications. So give him some slack if he does not immediately get back to you. You may need to send a follow-up. Here is my NEW engine! I will update everyone on the workmanship and driving impressions upon completion of the conversion. did they give you any kind of ETA on the completion time? very excited to see where this goes!